Jorginho is an Italian footballer who currently plays for Premier League club Chelsea FC. The Brazilian-born midfielder started his professional career as a youth player at Hellas Verona before he was loaned out Serie C2 side AC Sambonifacese. Jorginho spent three seasons in the Hellas Verona first-team and the Italian midfielder helped the club to achieve promotion to Serie A in the 2012-13 season. He moved to Napoli in a co-ownership deal with Hellas Verona in a four-and-a-half year contract. Jorginho scored six goals in 160 appearances in five seasons at the Naples club to become a fans’ favourite. Chelsea FC signed Jorginho in a £57m deal from Napoli on 14 July 2018 to start a new chapter in the Premier League. 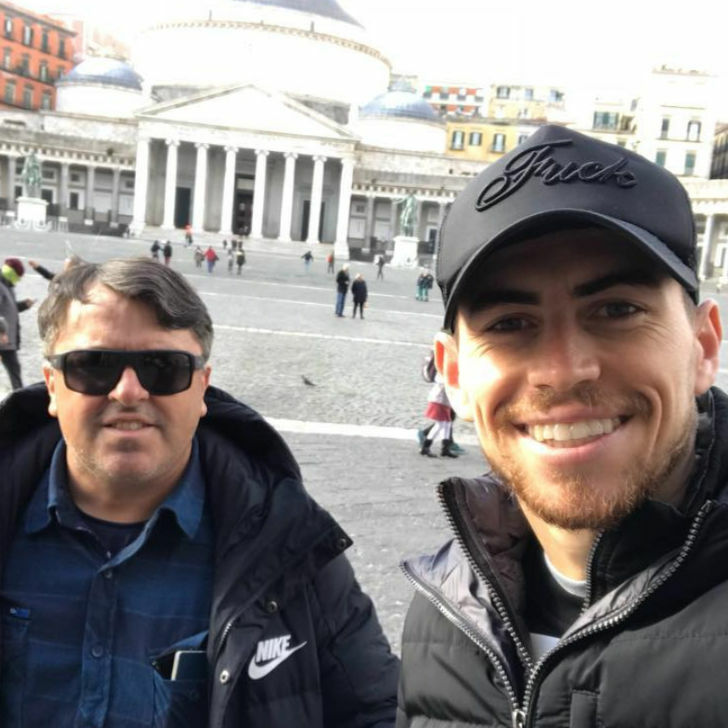 Jorginho received his first call up to the Italian national team after the midfielder expressed his desire to represent Azzurri instead of Brazil. Jorginho was born in Imbituba in the Brazilian state of Santa Catarina in Brazil in December 1991. He moved to Italy at the age of 15. His grandparents are Italian to provide the holding midfielder with the chance to get Italian citizenship. Jorginho started his career as a youth player at Hellas Verona. In June 2010, he was sent out on loan to Serie C2 side AC Sambonifacese. He impressed during his loan spell with one goal and 10 assists in 31 appearances in a central midfield role. Jorginho returned from his loan spell at AC Sambonifacese to stake a claim for a first-team spot at Hellas Verona. He made his Serie B debut in a 1-0 win over Sassuolo in the Italian second division as a second-half substitute. Jorginho scored his first goal for Hellas Verona in a 3-1 away win at Empoli. He continued to make his mark for the Serie B club in a 2-0 victory at Livorno on the road. The Brazilian-born midfielder finished with two goals in 15 appearances in Serie B.
Jorginho was limited to nine appearances in his second full season in the Hellas Verona team. The Italian starlet netted in a 3-1 win against Modena in Serie B. His second goal of the 2012-13 season in a 4-2 victory over Brescia. Jorginho’s two goals helped Hellas Verona secure promotion to Serie A ahead of the 2013-14 campaign. The defensive midfielder made his Serie A debut in a 2-1 win over AC Milan on 24 August 2013. Jorginho netted in four successive games in Serie A between September and October. He netted in a 2-2 draw with Torino and victories over Livorno and Bologna. Jorginho netted two goals in the same games for the first time in a 3-2 win against Parma. Jorginho was impressive form in December with goals against Fiorentina and Atalanta. He made two assists in a 4-1 win over Lazio. Given his impressive form in Serie A for Hellas Verona, Jorginho attracted interest from some top European clubs. Napoli signed Jorginho in a co-ownership deal with Verona for four and a half seasons. The Italian star netted his first goal for Napoli in a 3-0 win over AS Roma in the Coppa Italia. He finished the 2013-14 season with one goal and one assist in 19 appearances in all competitions. 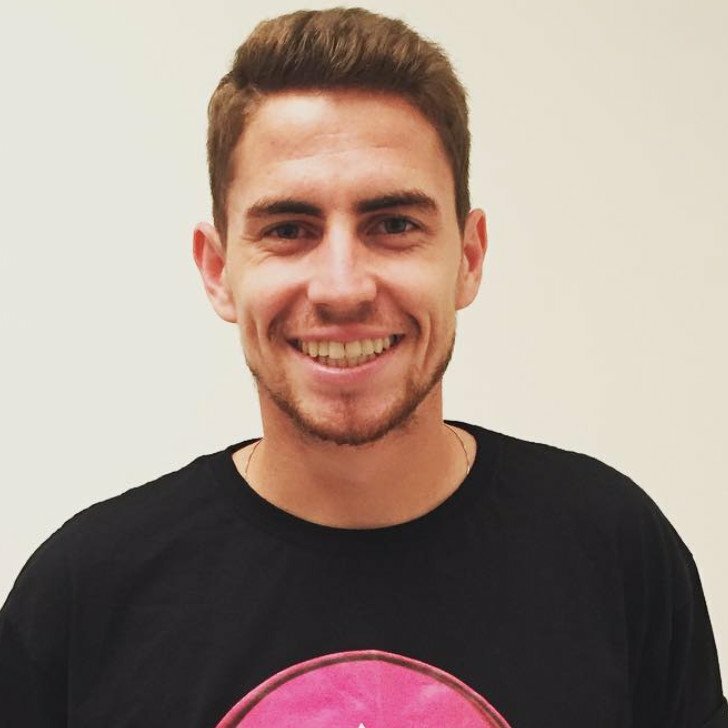 Jorginho was a squad member throughout the 2014-15 season but the Brazilian-born midfielder struggled to hold down a regular start spot. 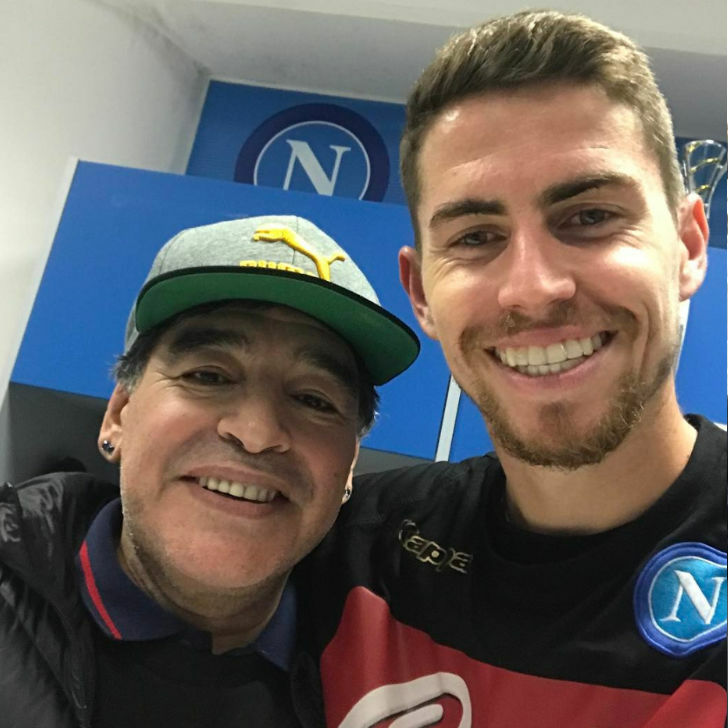 He made 30 appearances in all competitions in his first full campaign in Serie A.
Jorginho made two assists in Napoli’s 5-0 win over Belgian side Club Brugge in the Europa League on 17 September 2015. He created the winner in a 1-0 win against Udinese in November. Jorginho made eight goals in 37 games in all competitions. The Brazilian-born star got his first taste of the Champions League in a 2-1 win over Ukrainian side Dynamo Kyiv. He went on to make further European appearances against Benfica and Bestikas. He made 27 appearances in Serie A to underline his continued importance to Napoli. The Italy international attracted interest from Liverpool FC and Manchester City in the 2017 summer transfer window. Jorginho scored his first Champions League goal in a 2-0 win over Ligue 1 side Nice to help the Italian side reach the group stage. He netted in the Serie A for the first time in the 2017-18 season in a 4-1 win at Lazio in Rome. Jorginho netted his second goal in a 4-1 loss to Premier League side Manchester City. The holding midfielder netted in a 1-0 victory over Udinese in Serie A in November. His final season at Napoli resulted in three goals and four assists in 34 games in all competitions in the 2017-18 campaign. Jorginho completed a £57m deal from Serie A giants Napoli in the 2018 summer transfer window. The Italian midfielder put pen to paper on a five-year contract to ensure his stay until 2023. Jorginho opted to select the number five shirt ahead of his first Chelsea FC appearance. Manchester City were reported to have missed out on a deal to sign Jorginho despite the Citizens agreeing to a fee with Napoli. Jorginho held both Brazilian and Italian passports. He made his Italy debut in a 1-1 draw with Spain at the Stadio Friuli in Udine. Jorginho missed out on a place in Antonio Conte’s squad for the European championship in 2016. He made his competitive debut for Sweden in a goalless draw in their World Cup playoff in November 2017. 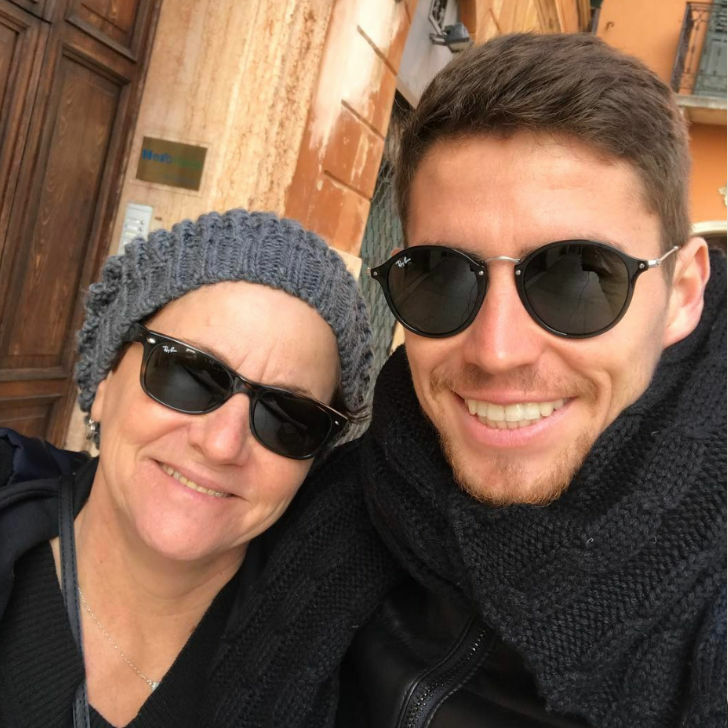 Jorginho is married to his wife Natalia Leteri. The pair have a son together and Natalia is expecting her second child later in 2018. Jorginho’s representative is super agent Jorge Mendes, who helped to oversee his transfer to Chelsea FC. • The Italy international won the Coppa Italia in 2013 and Suppercoppa Italia in 2014. • Jorginho has earned comparisons to former Bayern Munich, Liverpool FC, Real Madrid and Spain midfielder Xabi Alonso. • The Italian is an expert penalty taker and has a great conversion rate. Perhaps that isn’t surprising given his Italian heritage. • Jorginho joined Napoli from Verona in January 2014 in a deal worth £8.55m. Napoli made a significant profit after Jorginho completed a £57m move to Chelsea FC.